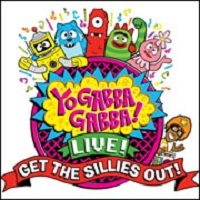 For those who have children that love, Yo Gabba Gabba,San Jose Civic Center provides families with the chance to see them live. Their new show, "Get the Sillies Out!" features DJ Lance Rock, plus Muno, Foofa, Brobee, Toodee, and Plex, and Biz Markie. According to nederlanderconcerts.com, Yo Gabba Gabba! Live! was the winner of Billboard's Creative Content Award and has performed in front of numerous fans across the U.S. and Canada over the past three years. Their new show "Get the Sillies Out!" is an accumulation of fan favorites from the past two tours as well as some all-new music and other surprises that the audience will find out about at the concert.